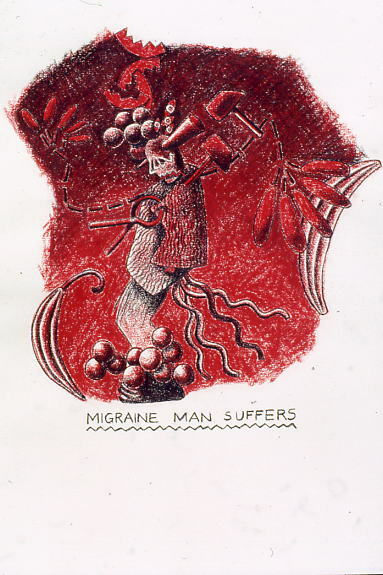 The fourth one is Migraine Man. You have no doubt heard of the first three who all got their fair share of publicity. 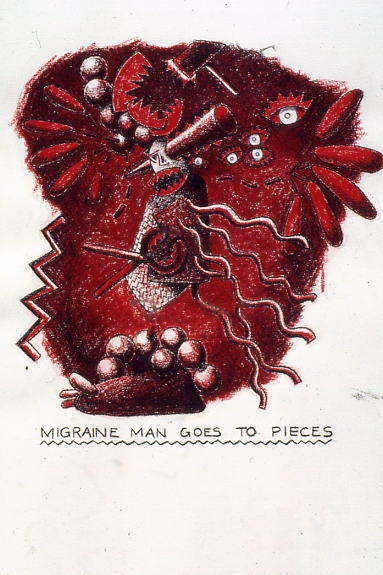 Migraine Man had his 15 minutes worth back in 1993 when he won 2nd prize in an art competition sponsored by Glaxo (as then called but now expanded). He then went into the collection of the afore mentioned company and at some point went missing.The person who should be most upset is the artist (me), but maybe because the artist received monies both from the prize and the sale of the work he became a tad uncaring. 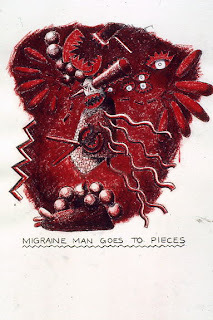 It has taken this long for Migraine Mans disappearance to come to light because he is required to take part in an exhibition organized by the AXNS collective…….but despite enquiries by one of the curators, Cosima Gretton, no one seems to know where he is. It’s all a bit worrying because once you hand over a family member to one of the biggest and wealthiest organizations in the world you would think that they would be well looked after. But, seemingly, this is not a rare occurrence with art works . 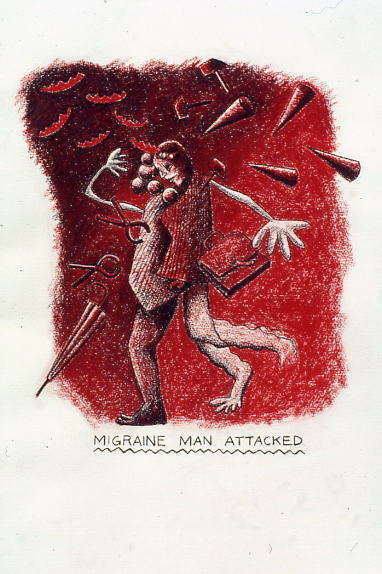 The artist/maker and writer Lois Walpole experienced this on more than one occasion when she was involved in curating a retrospective exhibition of her work. On contacting a number of national and well known galleries which owned her baskets, with a view to borrowing them, the pieces could not be located. OK, you could argue that the artist has been paid, but when the money has come from a publicly funded body there should be more accountability. The main reason for this blog is to put out a call to see if anybody knows anybody who knows anybody who is,or was, connected with Glaxo who may be able to shed light on the disappearance of Migraine Man. I think that first of all he was incarcerated at Glaxo’s Uxbridge location, but I’m not sure. Maybe he was clandestinely moved to another hideout, who knows? He is actually a triptych and I have added a photo below of how he looked in 1993, so anybody who has any information please contact the police station at this address. Thank you in anticipation of a positive outcome.